The Sport Scalp Razor champions the traditional HeadBlade technology with the added benefit of wheels. The wheels make the Sports Scalp Razor really easy to manoeuvre across the head and make your shave much more comfortable. Compatible will all of the HeadBlade Replacement Blade Kits. HeadBlade Sport Scalp Razor is a really easy way to shave your head without the need for help from a bystander. 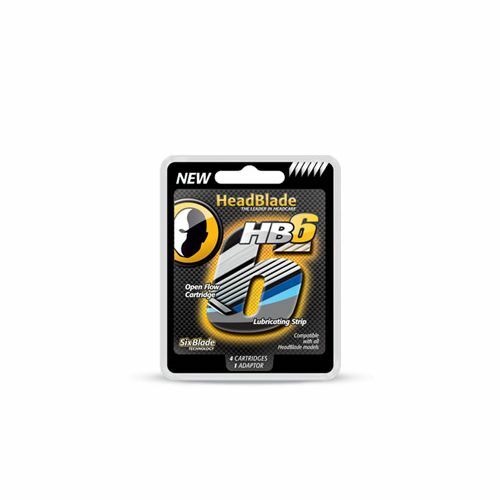 This easy to use head razor glides across the contours of the head making full use of its flexible blades meaning that no hair is missed out. Suitable for daily use. As directed. HeadBlade Sport Scalp Razor comes complete with instructions. Keep it clean and dry when not in use. Worst product I've ever purchased.